After the exit of Amitabh Chaudhary, who joined Axis Bank, Vibha Padalkar was the front runner for the top job. 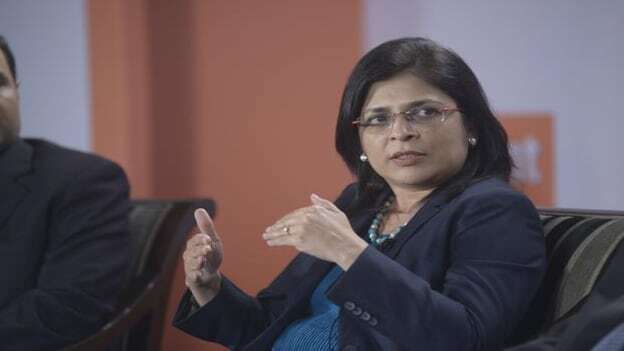 HDFC Standard Life has appointed Vibha Padalkar, the executive director and Chief financial officer of HDFC Standard Life, as the Managing director and CEO. Her appointment comes as Amitabh Chaudhry, outgoing Managing Director of HDFC Life joined Axis Bank this month, to replace Shikha Sharma as MD and CEO after she steps down in December. Mr. Deepak Parekh, Chairman HDFC Life said, “I am happy to welcome Ms. Vibha Padalkar in her new role as the MD & CEO of HDFC Life. We have witnessed HDFC Life grow from strength to strength, since its inception in 2000. I am convinced that Ms. Padalkar and the team will drive the organization to greater success and add value to our business as we cross many more milestones. I also take this opportunity to thank Mr. Amitabh Chaudhry for his leadership and vision. I wish him the very best in his new role." After the exit of Amitabh Chaudhary, Padalkar, a board member of HDFC Life, was the front-runner for the top job. Her appointment is effective September 12, 2018. On her appointment, Vibha Padalkar stated, I am delighted with the opportunity given to me to lead the HDFC Life team. I thank the Board of Directors for having placed their trust in me. It will be my constant endeavor to continue expanding the reach of life insurance and deepen the trust bestowed upon us by customers, partners, shareholders and other stakeholders. We have a strong team in place that has delivered over the years to make HDFC Life an industry leader and we hope to continue with this track record, delivering more value as we go along." Ms. Vibha Padalkar joined HDFC Life in August 2008. Before joining HDFC Life, she was associated with WNS Global Services, Colgate-Palmolive (India) and PricewaterhouseCoopers. Padalkar is a member of the Institute of Chartered Accountants in England and Wales and the Institute of Chartered Accountants of India. She has played a key role in the proposed merger with Max Life Insurance Company, which was called off, and in the subsequent listing of the company.